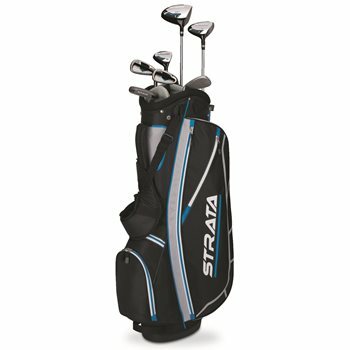 The Callaway Strata 2015 11-Piece gives golfers everything they need to hit the course. This stylish set is designed specifically for female golfers who want to maximize their distance and performance. With a 460cc driver, fairway wood, hybrid, three irons and a putter, the Strata Women’s Set offers more forgiveness to help women hit long, accurate shots. This consists of a driver, 5-wood, 5 hybrid, 7-iron, 9-iron, Sand Wedge, and putter.